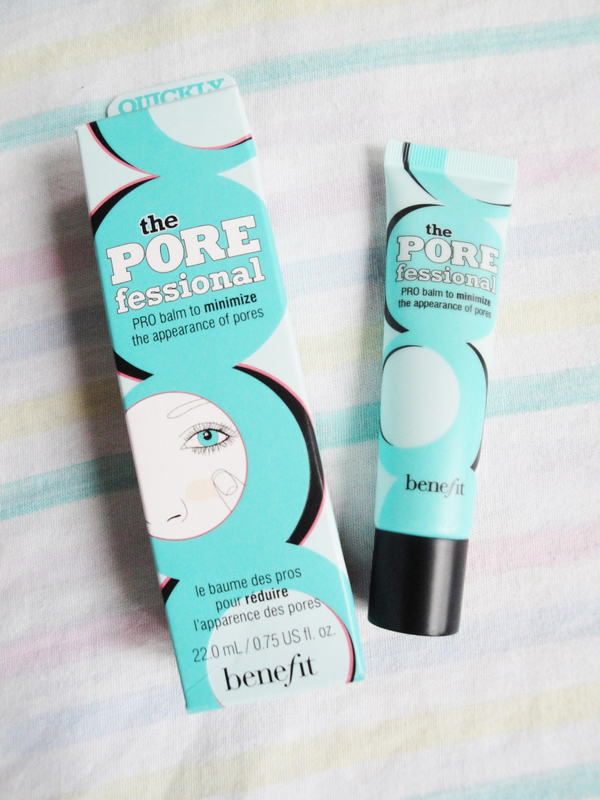 When my sister told me that she also bought Benefit's The Porefessional and included it in the package she sent me, I was overly delighted. I have known this product from the bloggers who had very good reviews on it saying that this primer is really worth the price that you're paying for. Who doesn't want smaller pores? I've been a junkee for products that can also minimize pores aside from just controlling acne since these are some of my major facial issues. So, I was totally excited to try this one, not to mention that this will be my first product from Benefit. It took 8 weeks to arrive from Canada thus the old packaging! This product is actually a pro-balm /face primer that minimizes the pores and makes the skin smooth for easy make-up application. 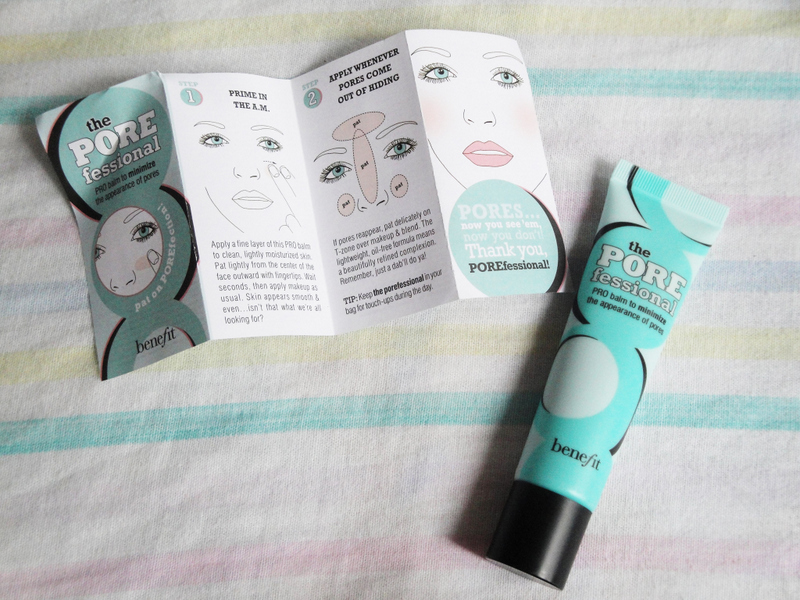 It comes with an instructional leaflet thus making the use of Porefessional much easier for first timers. 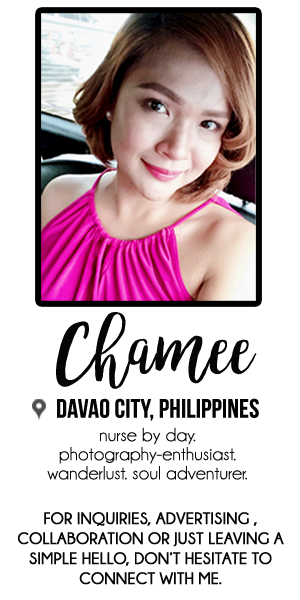 The images really help a lot in knowing how to apply the product. This pro balm promises pore coverage and smoother than smooth skin. The product is sealed so you are really sure that nobody has tested the product before buying it. It makes your skin smooth and silky for better make-up application. 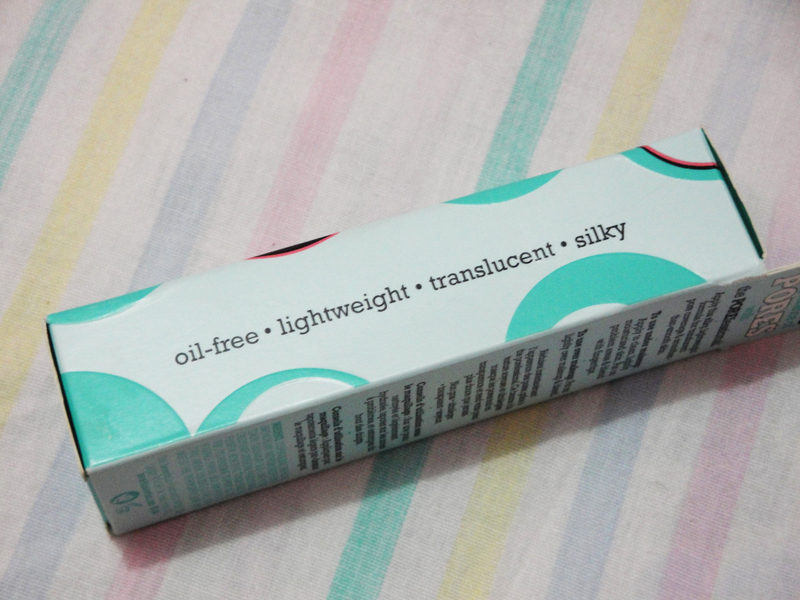 It is lightweight and oil-free and doesn't feel heavy upon application. 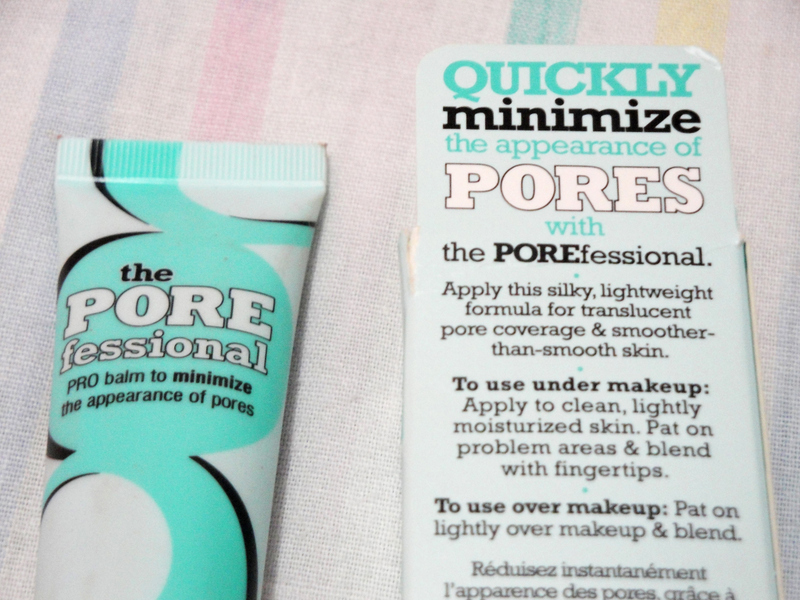 It's pore minimizing activity is just so-so. I can still see my big pores especially on the nose area. Yikes! Staying ability is only 2-3 hours. 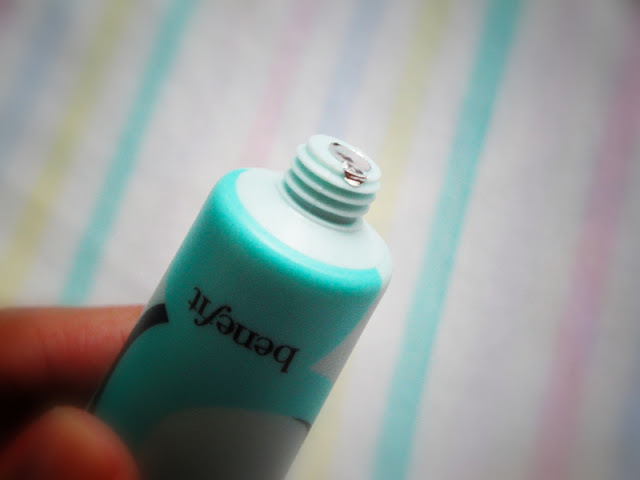 Face primers are intended to make your make-up stay longer but I think this product failed in this area. Boohoo! 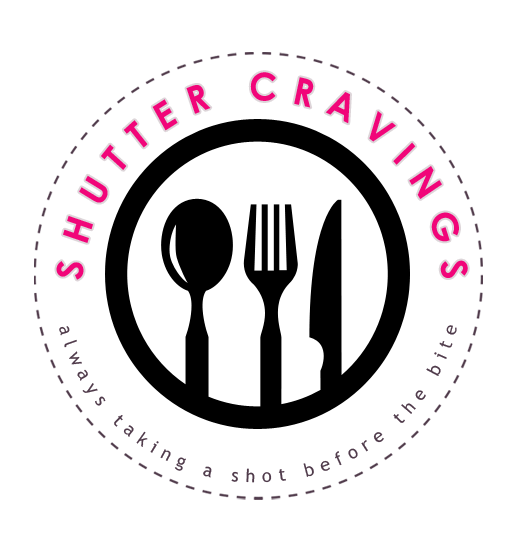 You utilize more product because you have to do touch ups every now and then. Too expensive. I'm fortunate enough to have this as a gift from my dear sister but here in the Philippines, it ranges from P1,500.00 to P2,000.00. I think I have to find a cheaper alternative. There are a lot of face primers out there which could be cheaper and better. Or maybe, I just raised my hopes too high on this product. Use an oil-control moisturizer. Even though I'm using one, this product still didn't work excellently on me. Bring it anywhere you go. Do some touch ups as often as needed. You don't want to have your pores come out screaming. What are your thoughts on this product? Any suggestion for a better face primer than this one? Ooh I actually really like this primer, but have to admit that it kind of doesn't do what it says on the tin- I just like how silky it makes my skin feel before make-up application. check on some other brands. sure, follow you back:) thanks for following me! I have problem with pores and I'm looking for a good pore minimizer, so this is really helpful, thanks!